Our primary focus is 24-hour emergency department coverage in rural hospitals. We also offer clinical and inpatient services as well. In what locations do you offer your services? Our services are offered across the state of Kansas but we are currently working to expand into other states. What is your coverage schedule? We offer both short-term and long-term coverage contracts. In most cases, we are able to respond to your request for coverage within less than a week if needed. This can be coverage for either a few days or a few weeks, depending on the negotiations with the hospital. Our rates are based on the individual hospital's needs, as well as the average volume of patients seen in the ER or clinic. Rates are negotiable due to the high variability of the individual hospitals serviced. Please contact us if you would like to discuss a fee schedule. How many providers are in your group? Currently we have 27 contracted physician assistants and 23 advanced practice registered nurses. We are looking to add more mid-level providers as demand for our services continues to increase. Are there any doctors in your group? This is a mid-level and registered nurse only group. The physician assistants have individual supervising physicians as well as hospital-appointed physicians at the various locations we service. These appointed physicians perform the duties of signing charts and providing consultation if necessary. The nurse practitioners have a collaborating physician agreement at each facility we serve. We also have an agreement with Sunflower Telemedicine, a hospitalist physician group that can be contracted directly with the hospital to provide phone backup support if needed. How is your group structured? 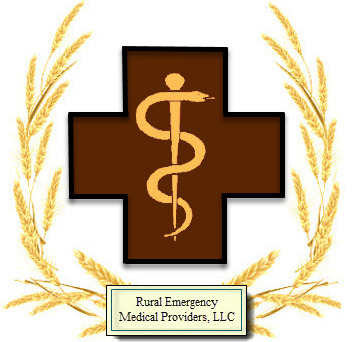 Rural Emergency Medical Providers, LLC is a fully organized business entity structured as a limited liability corporation. This will permit the addition of subsequent providers to expand our services to our clients. This enables us to provide greater flexibility to our clients thereby allowing the consistent coverage that hospitals require.